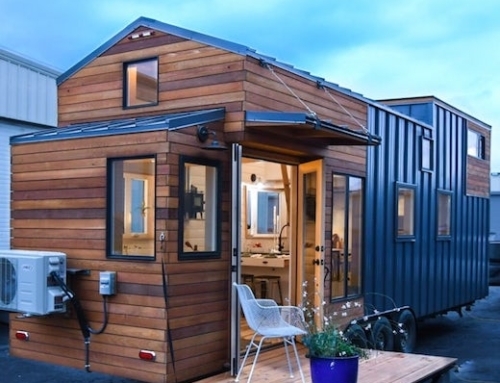 With operations in New Mexico, PFNC has built a prototype 320-square-foot home. 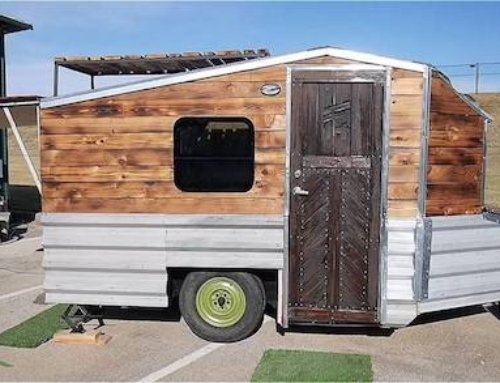 The home, although small, has room for a kitchen, bath, toilet, and sleeping areas. It also has windows for natural ventilation, electrical and water systems, and hookups for air conditioning. PFNC plans to outfit the homes for under $10,000 USD, but subject to site conditions, land costs, and transportation costs. To keep prices low, the company will try to sell homes in large quantities, with production planned for early 2009 at an initial capacity of 3000 home per year. PFNC has both single family and multifamily options in the works. Photo credits: PFNC Global Communities. This is similar to a couple of designs built by the Peabody Trust in the UK. Raines Court (http://www.peabody.org.uk/pages/GetPage.aspx?id=183) is a multifamily property that was assembled of pre-made modules and stacked together on site. The site work consists of prepping the ground, bringing utility service, and then creating a large scaffold. Trucks and cranes arrive, lift the modules into place, and everything’s completed in a week. A little more information here (http://www.access-steel.com/Dev/Discovery/LinkLookup.aspx?id=SP026&orfl=en) which reveals that modular design can look like more than just a stack of cordwood. Nice links, Will, I need to write about Raines Court sometime, it’s pretty cool. By the way, I really enjoy reading your blog. This is a great idea, especially for those in third world countries. Maybe even be used after a natural disaster as temporary housing, then re-used for other means later. It’s nice to see college ideas turned into companies. Very cool project. I particularly like the single family vs multi-family home option..
:transportable factory” where they help build the steel panels for their own homes. That’s the scoop. And btw I truly enjoy my daily Jetson Green! I know most American’s was think this is ridiculous, but I think it is brillant. Having traveled to impoverished places, this is a great alternative for safe, healthy shelter. Very interesting and enlightening post. Is is possible to bury one? I’m thinking that rather than trying to heat this thing, just burying it and taking advantage of the fact that underground, the temperatrue is always about 65 degrees. Burying one is a great idea. I would imagine it would generate additional safety concerns (for it would be easy to break into the skylights), but some bar to cover the windows could do the trick. Another downside is that it would be much more difficult to connect the unit to a water source. I also don’t know how it would affect the HVAC system. A buried one would make a nice emergency bunker. I would tell my wife it was for low probability emergencies like asteroids or zombies, but I would use it to hide from her. I lived in Turkey after one of their earth quakes and they could have used a stockpile of containers to house all the displaced people. This makes a lot of sense. If there was come kind of water storage system like a culvert pipe stood up on end in the back with the rain water draining off the roof funneled to it would help with the H20 needs of the residence. As far as insulation goes, I saw another group that was using a spray on ceramic coating that had an R22 rating. Similar technology to what they use on the Space Shuttle. Fund raising for these would be tough if you are a 501C3.But,It seems like the shipping companies could donate these and get a tax right off for them. A little pressure from the residence of LA on the city about the eye sore these create might motivated them to give you some. If you do a news letter add me to your list. I have volunteered with Doctors with out Borders and NW Medical Teams as well as other groups so am into where you are coming from. Hello! I really lik your container homes, how much does it cost to get a copy of the design? wish u the best Pablo! 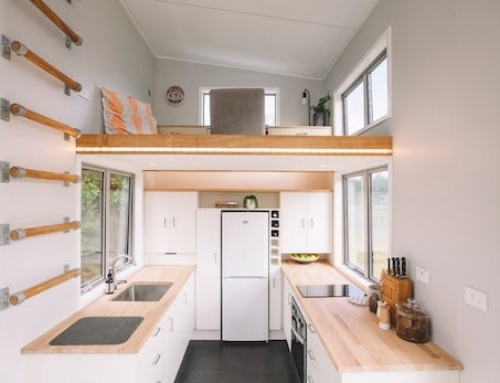 Looks great – see http://www.boxlife.co.za for South Africa’s first container home developing – slow but sure…. You guys should be getting on board to help Haiti, this would be a great solution to help get them back on their feet, When the economy improves maybe they can be recycled and made into something else. I provide containers which can be modified into these homes and basically anything else you can think of. Please visit my website at http://www.M5Storage.com if you have any questions about these containers or would like one or know any one in need of one, please feel free to email me or contact some one on the website. What about marketing your product to the oil and gas industry that is about to re-amp the US economy? Temporary housing is needed at drill sites now. i am on disability and live in the united states i would love to own one of these. i am tired of living in apartments where i cant do anything i would love to have some freedom to work on my car without having to go to my moms house and would love to bbq once and a while.